Wooden fruit bins and pallet bins are slowly being replaced by modern plastic pallet bins all over the world. Whether it’s in harvesting, storage, or transportation — modern plastic containers are superior to their wooden counterparts. The solid construction of plastic pallet bins gives them greater structural strength and stability compared to traditional pallet bins. This can be especially important when partnered with heavy machines, like hydraulic bin tippers or specialised forklifts. Bin tippers can put fruit bins or pallet bins into a lot of stress. The solid make of plastic pallet bins allows pressure to be spread more evenly, unlike in wooden pallet bins, where two or three pieces of wood will sometimes bear the most loads. The weight capacity of plastic pallet bins also surpasses those of their wooden counterparts while also being lighter. The standard weight of plastic fruit bins also allows for more precise measurement of produce and other materials. Unlike wooden fruit bins, plastic pallet bins are not vulnerable to moisture, weathering, or rot. Plastic pallet bins are non-porous; harmful chemicals will not seep into their surface nor will they be susceptible to insect infestation. The porous nature of wood allows water to flow inside and become breeding grounds for harmful organisms. The segmented construction of wooden fruit bins can sometimes expose several wooden edges that can damage or cut harvested produce, especially during transport. The solid body of plastic pallet bins eliminates this problem, and the smoother surface puts less stress on stored food. Produce are less likely to bruise in plastic pallet bins, and their solid bases make them particularly suitable for heavier fruits. 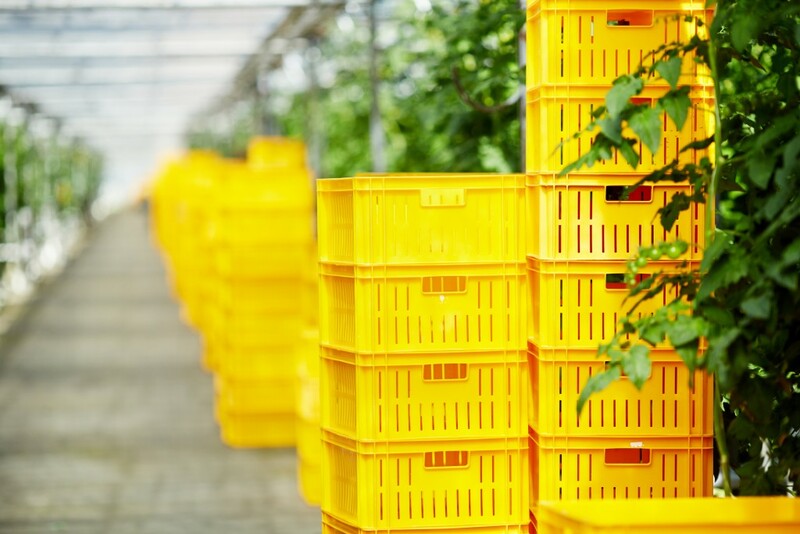 Plastic pallet bins promote better air circulation, better sanitation, and more secure storage for your produce. Plastic pallet bins cost double the price of wooden pallet bins, but this extra cost will translate to better efficiency, fewer chances of disease and insect infestations, more storage options, and less damage to your products. Plastic pallet bins weigh 30-40 percent less than wooden fruit bins, making them easier to move and less costly to transport. They are stackable, frequently exceeding ten stacks. This allows you to allocate less space for storage or allocate climate control measures in a smaller area. Plastic pallet bins require less maintenance, are easier to clean, and their durability gives them a lifespan double that of wooden fruit bins. Countless farms are discarding traditional wooden fruit bins for more modern plastic pallet bins. New Zealand kiwi farmers are opting for plastic bins to reduce damage, and a whole region of Italy is exclusively using plastic pallet bins for their operations. Wooden fruit bins might have been the standard since decades past, but modern production and machinery require new designs and materials. In the end, increasing efficiency and protecting crops should be the priority of all farmers, and one way to achieve that is by switching to modern equipment designed for the specific needs of the agricultural sector.